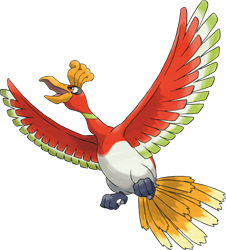 Ho-Oh is a legendary Pokemon since the 2nd Generation and is often called the Guardian of the Skies and it was drawn here by the Dutch artist Ruth Taylor as part of her series of realistic / redesigned Pokemon. 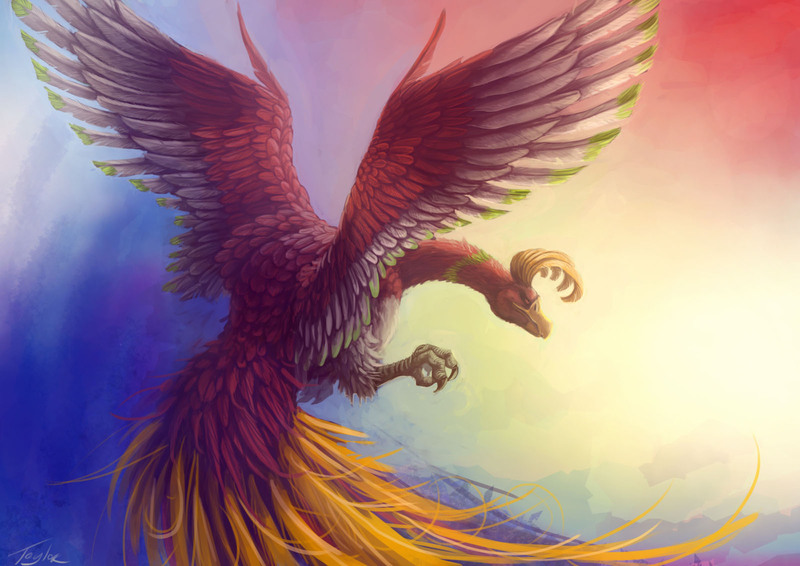 To enlarge this artwork, simply click on it! To compare her illustration with the original one by Nintendo, you can see that one here to the right as well. Beside the whole Pokemon Series by R.Taylor you can also read an interview we had with her here on GAHQ!